It looks grey outside and all you have to look at are your magnolia office walls. But what would you like to look at? Perhaps a panoramic view of where you were on holiday, looking out at the coast of Australia? 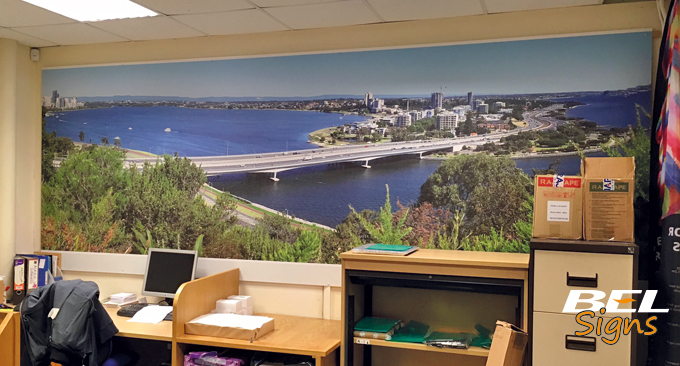 Large format printing like this has endless possibilities, all you need is a high-resolution image and BEL Signs can design, print and install. If your business is in the travel industry you could print a sunny holiday destination to inspire your agents, if you are a veterinary surgery you could have a Labrador running along your reception wall, if you’re a local café perhaps something tempting like a table full of cakes to encourage your clients to order more! Incorporate an idea fitting to your brand and your business space can be something to look at, start a conversation and begin to feel bespoke and inspiring. Here at BEL Signs our designer can generate some ideas and images, or you may have a photo you have taken, perhaps a collection including an inspirational quote so the digital print can then feel personal to you. 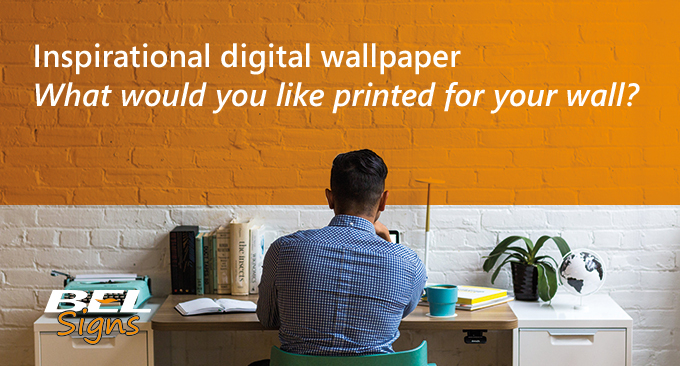 What would you like printed for your wall? Contact us for a site visit today to change your outlook: 01403 255442.